Forest Heights, including the Kings Heights area, is located in the northwest quadrant of the city, up in the hills, near the Nob Hill district and Forest Park. This area typically consists of larger homes on larger lots, many of which have views. 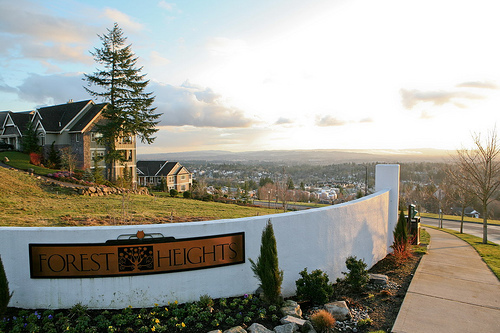 Most homes in Forest Heights are part of a homeowner's association, and a coalition of Northwest Portland Neighborhoods to helps foster area improvements. To see the listings on their own page, click this link: Homes for sale in Forest Heights.